1Warm the milk in a saucepan over a medium heat until simmering. Remove from the heat and add the chocolate and stir until melted. Pop the pan back on the heat until warm then pour into a mug. 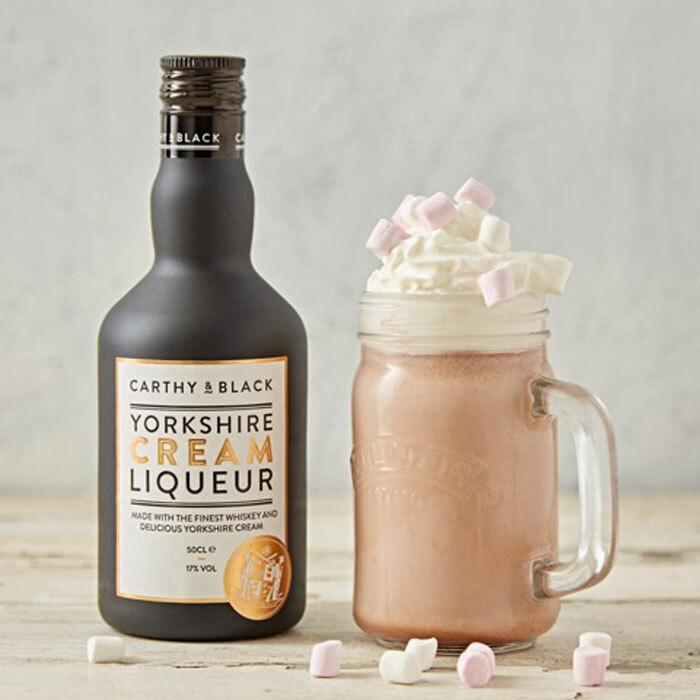 Add the Carthy & Black Yorkshire Cream and top with whipped cream and fluffy marshmallows.